drilling accurate holes in the MultiMachine's big, heavy parts requires a lot of thought. THINK! (may weigh five or more tons) MultiMachine that can be built with no store bought stuff at all! It also can be built by using only hand tools and no electric power. available car and light truck engine blocks. and the whole machine may weigh over half a ton. the rest of the machine is built. 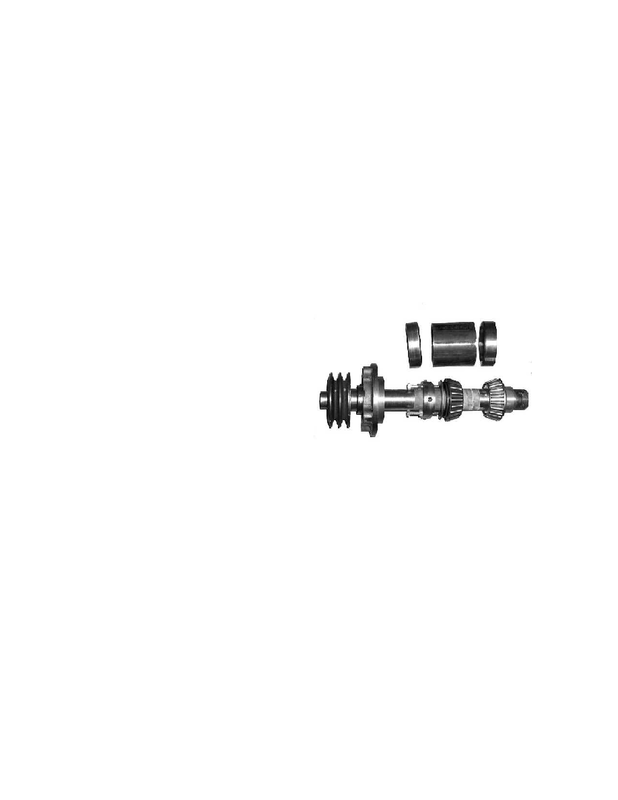 bicycle front axle with just three small differences. bearing that functions both as a thrust bearing and to support for the weight of a heavy pulley. we study the individual parts. to what is the machine going to be used for. 1/2" 8 and the spindle would have a bore of about 1".